An enjoyable way of networking and keeping in touch with fellow chartered accountants in their semi and retired mode. The club was founded as a place to enjoy good food. Over the years the club has earned a reputation for serving fine food in handsome surroundings, recalling a gracious, less hurried era. Luncheon includes a glass of wine. Friends and family of members will be made welcome. 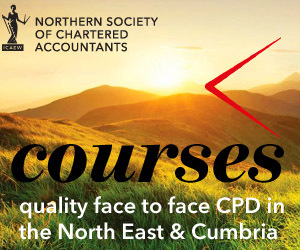 The Northern Society of Chartered Accountants has kindly agreed to sponsor this event and the charge below represents a subsidised cost. Chris Foote Wood – Journalist, Broadcaster, Author, North East Councillor Chris Foote Wood is now mainly occupied writing and performing and is currently touring the UK with his one-man show An Evening with Charles Dickens. He is the elder brother of award-winning comedian Victoria Wood. He has written a comprehensive biography T Dan Smith, Downfall of a Visionary – a dynamic and innovative leader of Newcastle City Council in the 60s – a controversial man whom Chris considers to be the most charismatic and visionary politician the North East has ever produced.